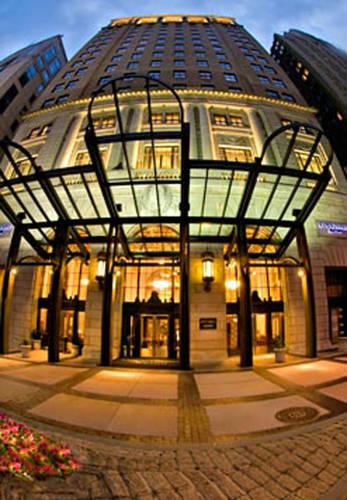 Find a blend of history and modernity at Courtyard Philadelphia Downtown. Listed on the National Register of Historic Places and boasting sophisticated, 1920s-inspired d cor and furnishings, our hotel is a landmark in the heart of Center City. We're excited to announce our transition to The Notary, an Autograph Collection Hotel in summer 2019, and we look forward to showing you what's next. In addition to reimagined accommodations and public spaces, we'll be offering a fresh food and beverage concept and other thoughtful full-service amenities. One thing that's not changing is our coveted location steps from the best of Philadelphia, including Reading Terminal Market, Philadelphia Museum of Art, Liberty Bell and other attractions. Travelers can appreciate our spacious guest rooms and suites, all of which boast high-speed Wi-Fi, plush bedding, marble bathrooms and expansive work stations. With 10,500 square feet of event space, our hotel is also a prime venue for a business meeting or wedding in Philadelphia. NINETEEN 26: Savor American cuisine in a lively setting at NINETEEN 26. Our hotel's signature restaurant offers diners breakfast, lunch and dinner in the heart of downtown Philadelphia. Starbucks : Begin your morning in Philadelphia with a latte and a light bite or stop by for an afternoon pick-me-up at our hotel's on-site Starbucks .